The Wright Wine Co’s postal address is the Old Smithy in Skipton in North Yorkshire. It will come as no surprise to learn that it’s a former blacksmith’s, but the gradual expansion of the footprint of the business over the years means the current premises also include the town’s one-time fire station (from the horse-drawn days), two former dress shops and a knock-through to an old flat. One of the dress shops was owned by Ros Fawcett, one of the original WI Calendar Girls, since immortalised in the 2003 film. Wright’s was a £50 sponsor of the very first calendar. The first wine merchant on the site was Peter Hopkins’ Manor Wine Shop in 1975 before Bob Wright took over in 1983 and gave it the name it retains to this day. 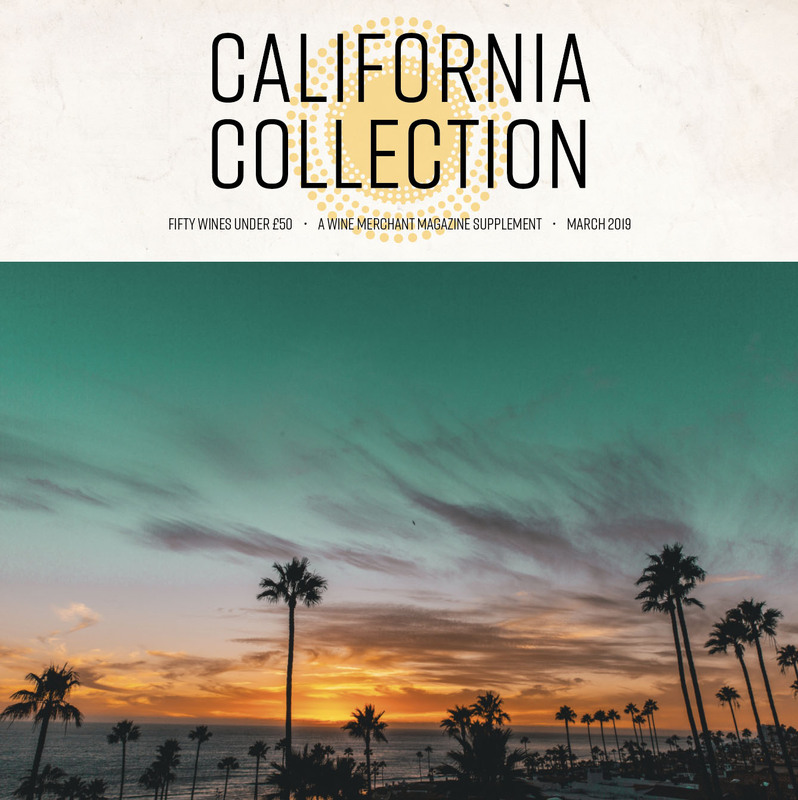 Here is is – our last issue of 2018. We live in interesting times and sometimes negativity gets the better of those of us who try to write articles making sense of it all. The indep endent trade had a patchy summer (good weather and a World Cup aren’t necessarily great news for all wine retailers) and hopes are now pinned on a successful Christmas. What will the New Year bring? At the time of writing, we can more or less guarantee duty increases, Brexit, more gin launches, hundreds of thousands more vines going into English and Welsh soil, research that proves that wine is killing us, and research that demonstrates why it’s the key to a long life. Meanwhile, store numbers go on increasing. We’re now past the 900 mark and we know of several merchants who are about to explode onto the independent scene – as well as some that are ready to expand, if they can secure the right sites. So there’s no negativity around these parts. In fact we’re raring to go for 2019. See you then. Wine merchants rely almost entirely on an imported product. They thrive when consumers have a bit of disposable income. So it’s not exactly a surprise that an overwhelming majority voted to remain in the EU. Our poll of 88 businesses finds that 70% of independents still want to stay in the EU, and most would favour a second referendum to settle the issue. Some are sounding dire warnings about their prospects if Brexit goes ahead. One predicts that wine merchants of all shapes and sizes will close in their droves. Are there some potential upsides? 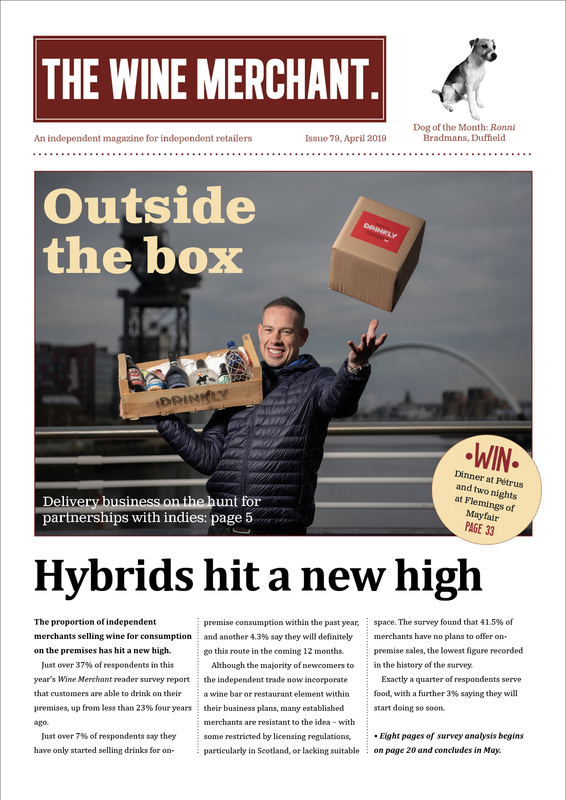 Some respondents suggest that they may be in a position to capitalise on the collapse of the importers who aren’t able to withstand the Brexit shock. It’s not the most positive way of looking into the future, but something to cling to at a time when optimism seems to be in short supply. Read our survey report in the October edition. Don’t worry, there’s some funny stuff in this issue too. There’s a curious affinity between wine merchants and railways arches. It’s partly because they have a resemblance to cool, dark wine cellars. It’s also because rents have traditionally been pretty affordable. Arches are home to all kinds of independent businesses, not just wine merchants, and as such they are a national asset. We don’t know for sure what will happen when Network Rail sells them off, but let’s not kid ourselves that rents are likely to stay the same. Understandably, there’s a lot of nervousness among arch-based wine merchants about what will happen once their new landlord emerges. The lack of communication from Network Rail hasn’t helped matters. 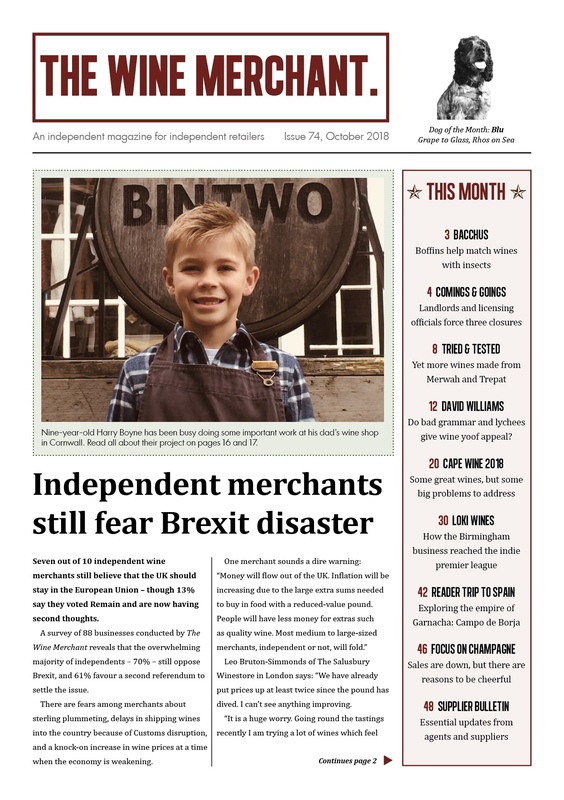 We’ve spoken to a few of them in the August edition, where you’ll also find a profile of Corney & Barrow’s Newmarket branch, coverage of our Bristol Round Table Event, a look into the future of Rioja, and predictions about when, if ever, the gin bubble will burst. 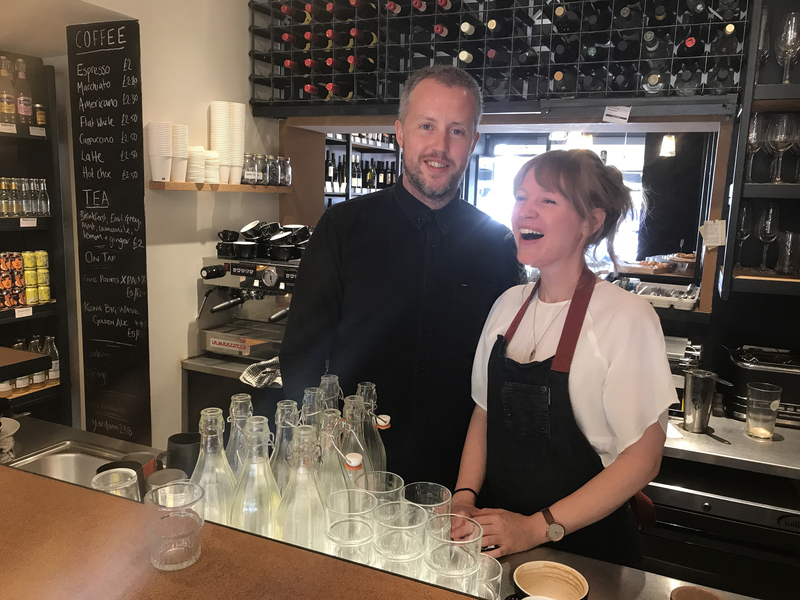 The July edition of The Wine Merchant features an interview with Dan O’Connor and Eliza Parkes of Yardarm, a beautiful, and beautifully-run, wine shop in Leyton, east London. There wasn’t much going on in their neck of the woods when they opened in 2015. It was a secondary shopping street like so many across the country, with a takeaway, some estate agents and a lot of boarded-up shops. Then came investment from Transport for London and the Mayor, turning Francis Road into a traffic-free, cycle-friendly thoroughfare with a relaxed, continental vibe. Normally traders hate pedestrianisation schemes. But in this case it has breathed new life into a moribund street, and Dan and Eliza are reaping the benefits. Check out the July edition for their story. Better still, drop by for a coffee or a glass of something nice. It’s a happy and inspiring place to spend an hour or so.